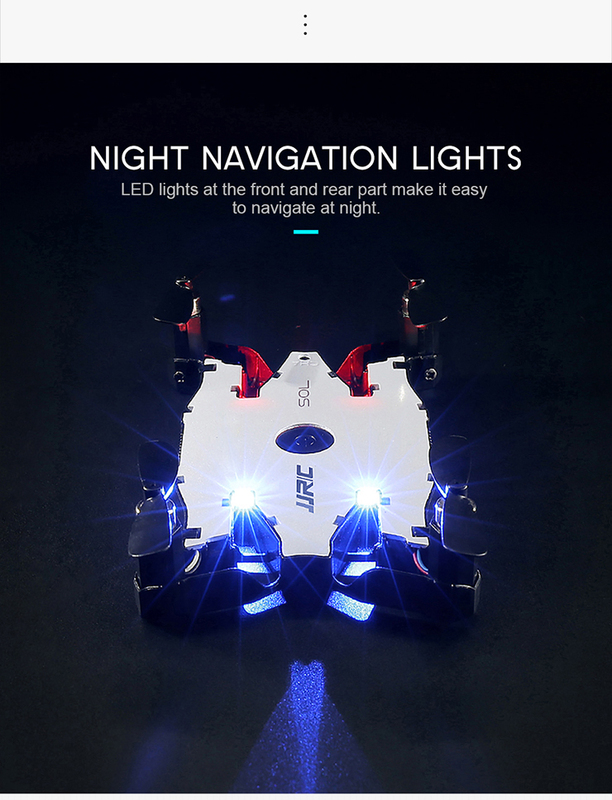 • Foldable fuselage ,high definition adjustable wide-angle camera ,highlighted night lights. 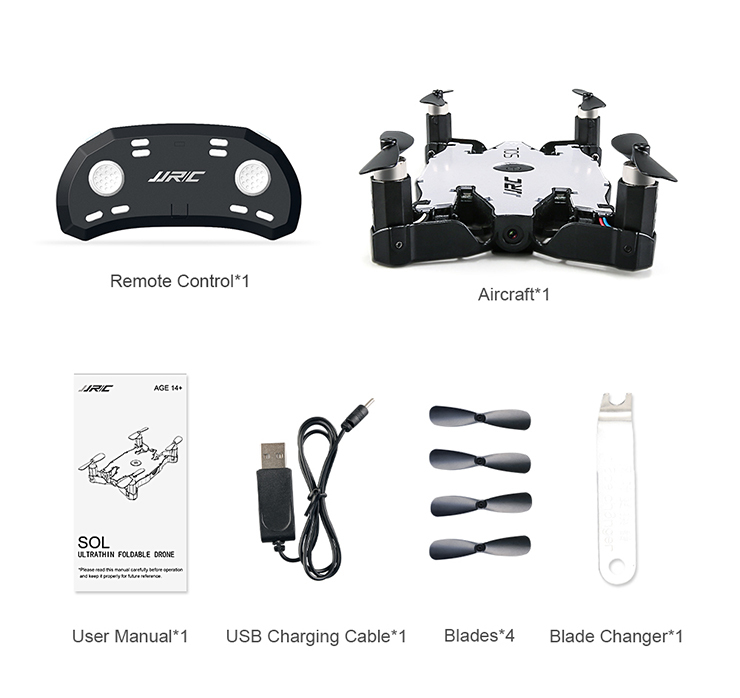 • Air pressure altitude hold, gesture control ,real-time transmission , G-sensor ,track flight , voice control ,one key to takeoff /landing ,speed control. 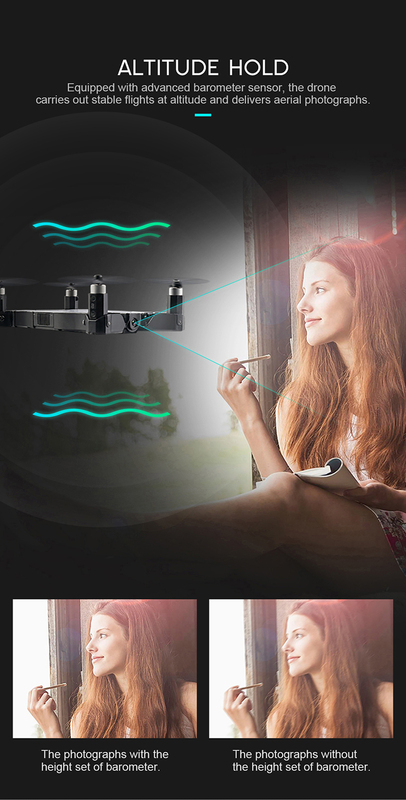 • Ascend/descend ,turn right /left, backward/forward ,right /left sideway fly . 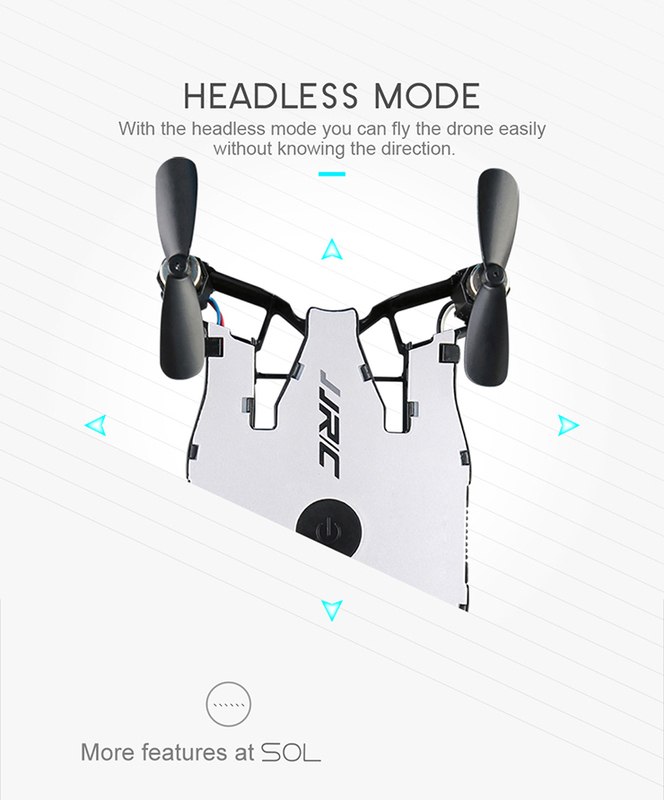 • One key to takeoff/ landing ,headless mode ,one key return . 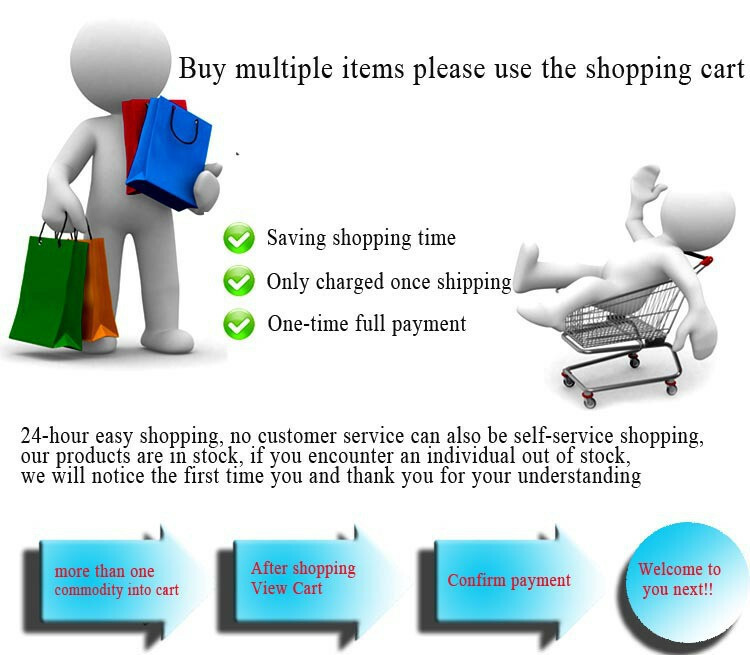 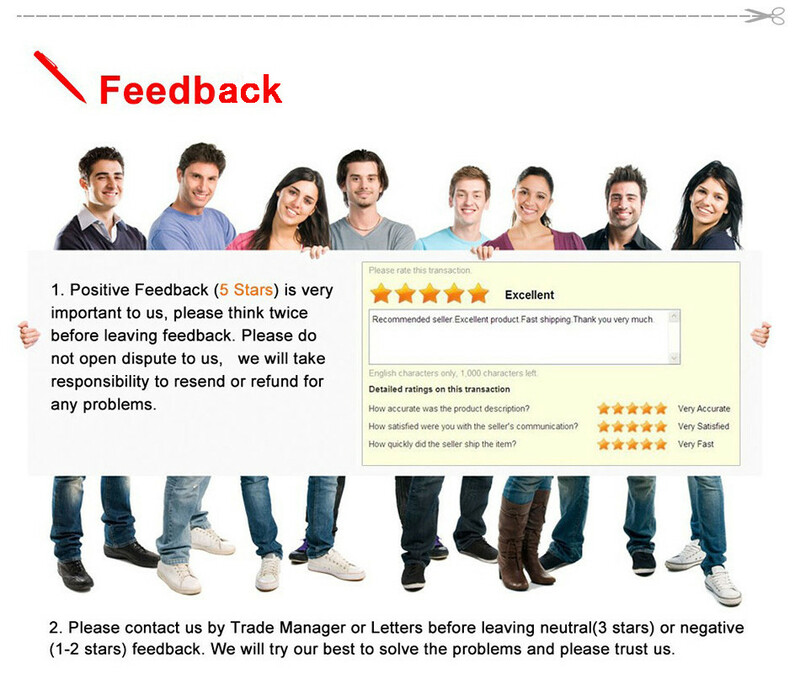 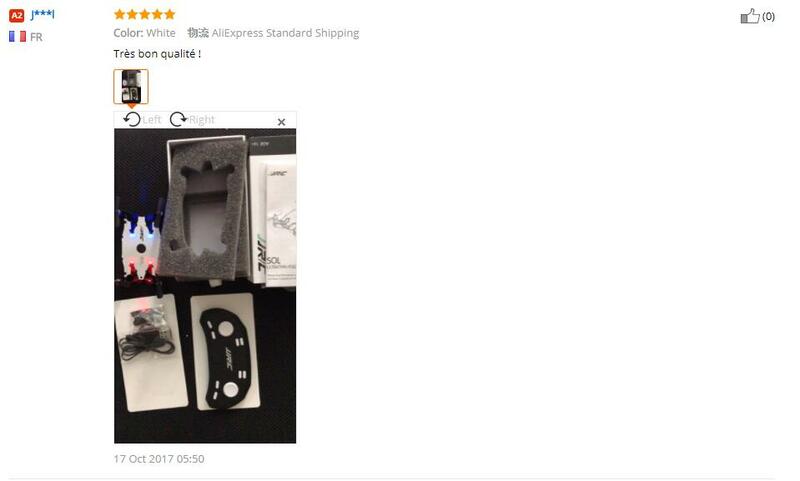 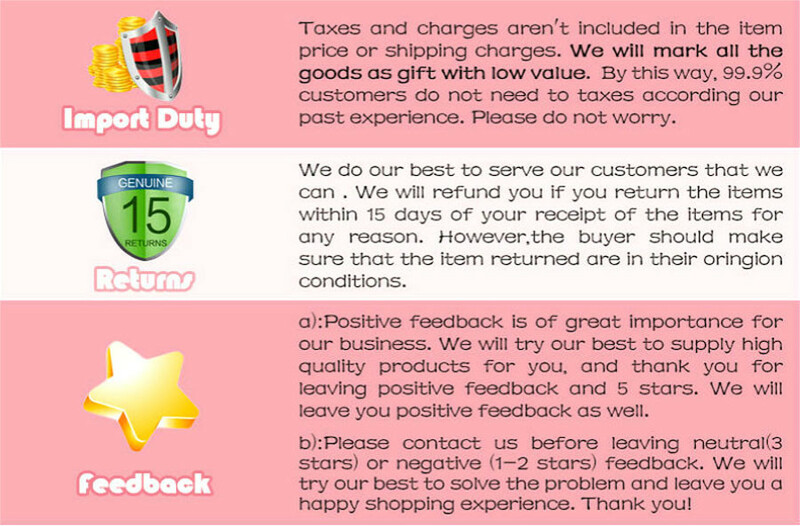 • 360° Flips 、high low speed switch 50% 100% 、one key calibrate . 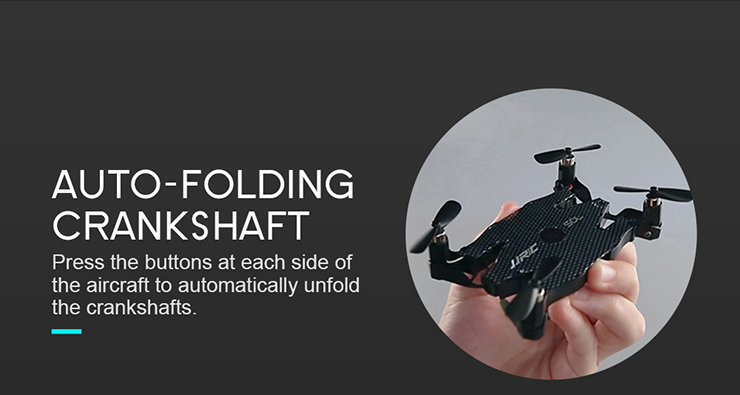 • Auto folding design ,just press both sides ,arms will be pop out. 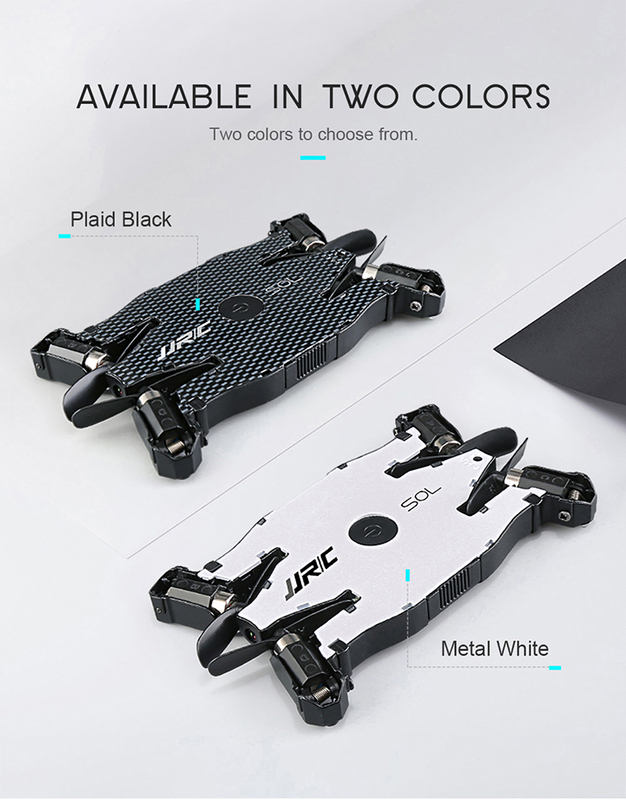 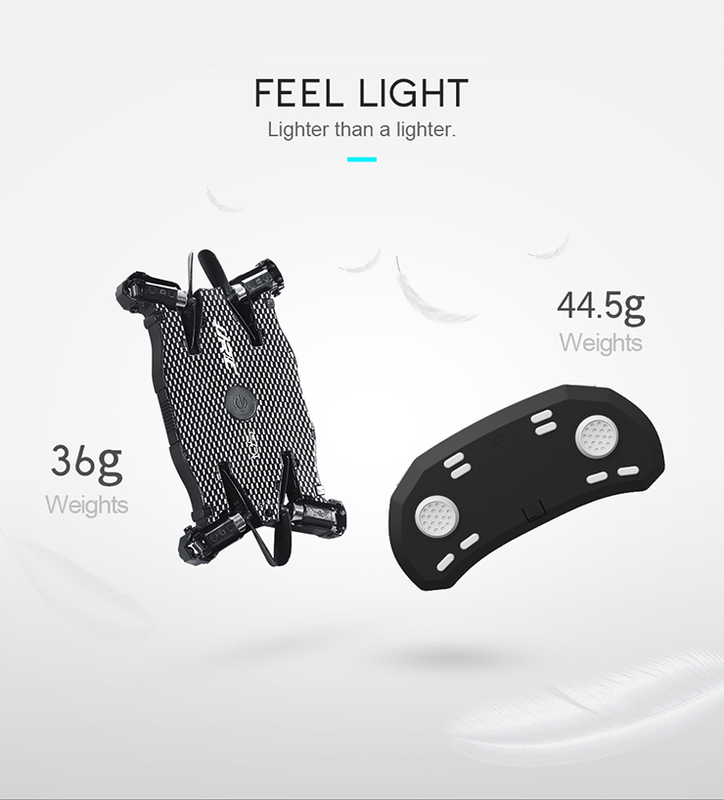 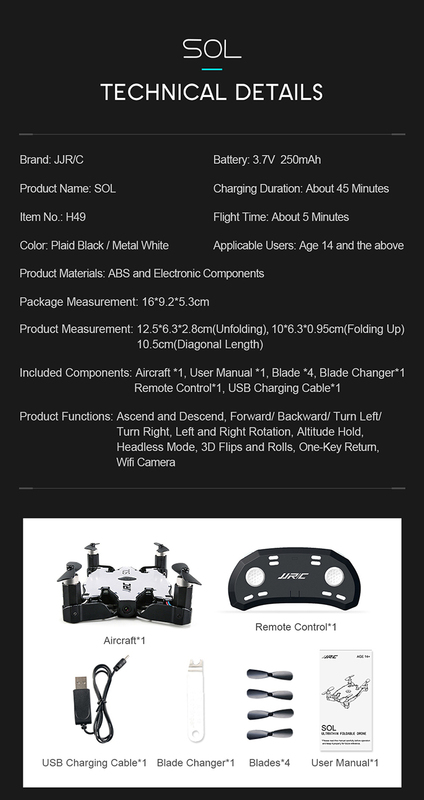 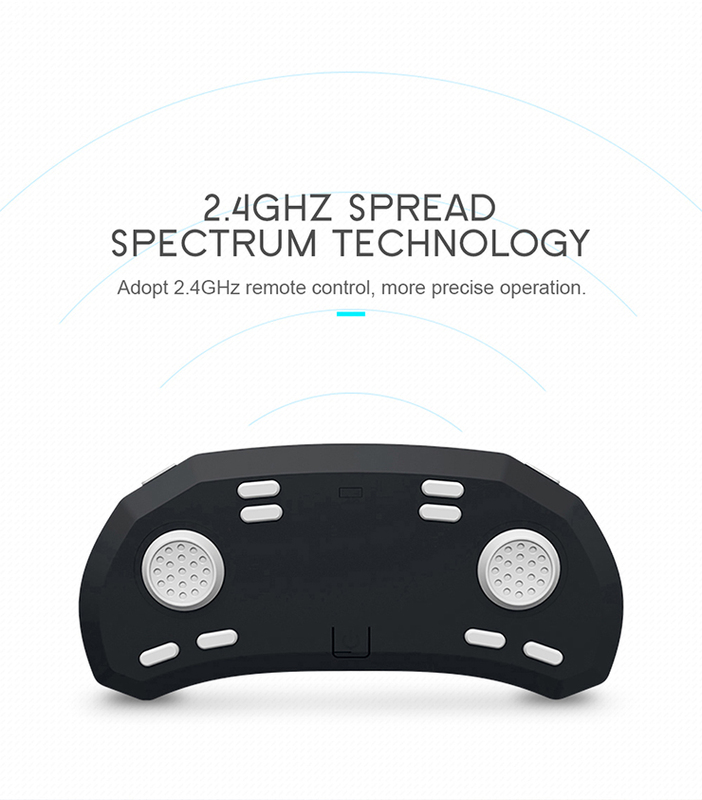 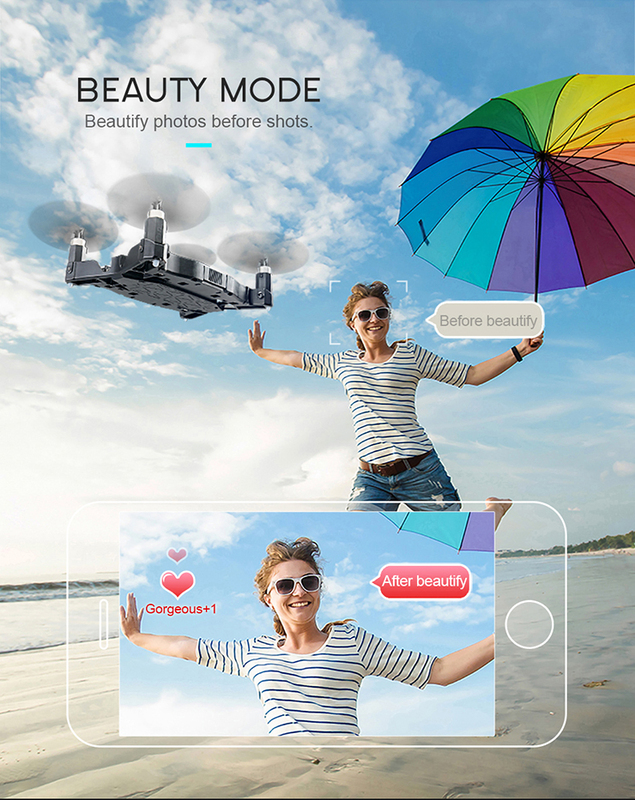 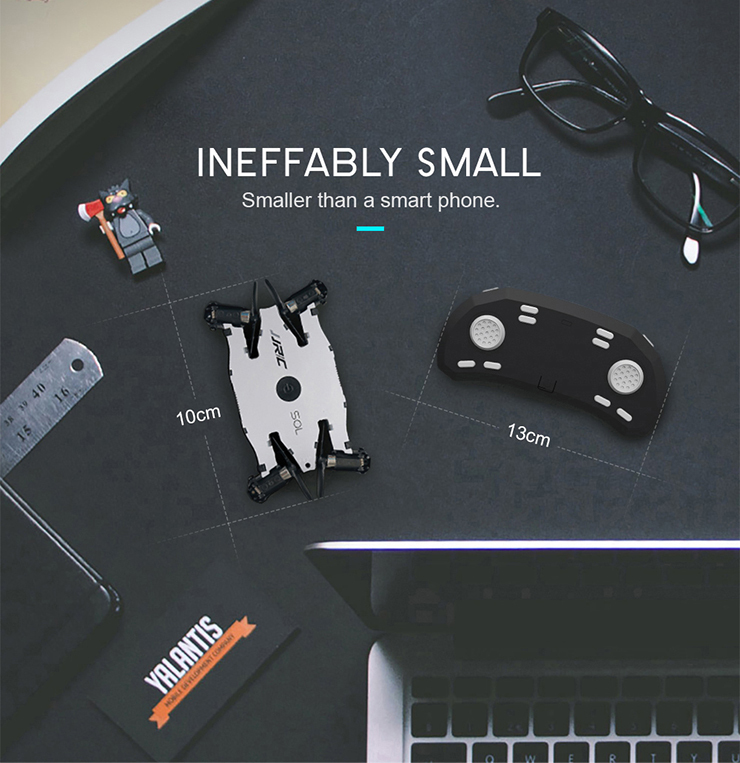 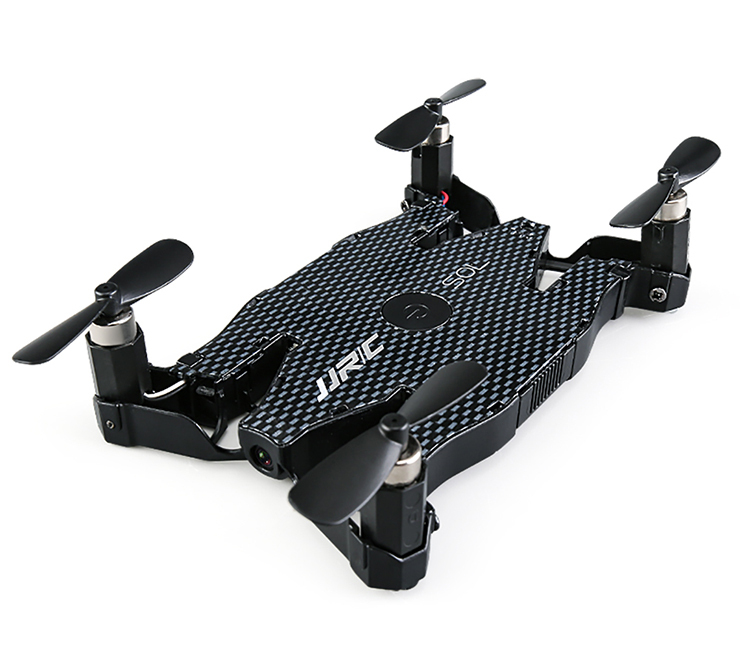 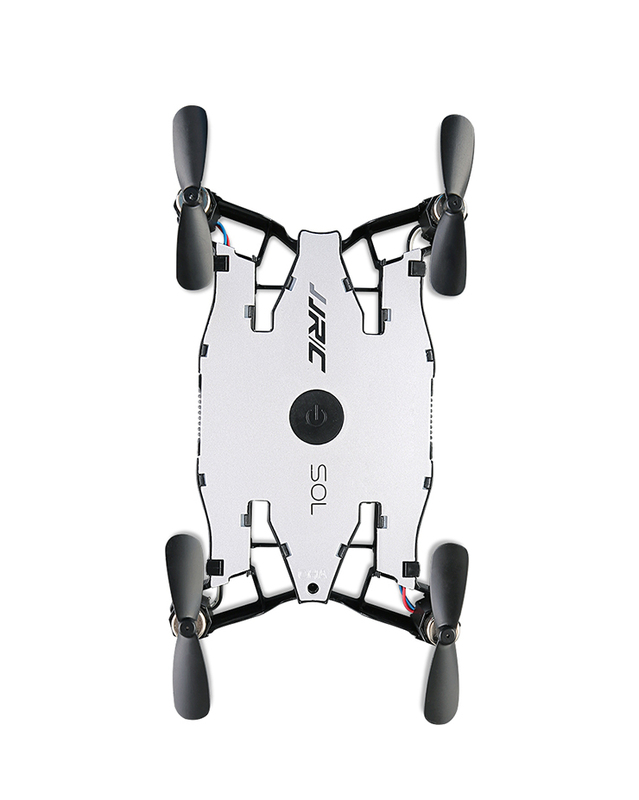 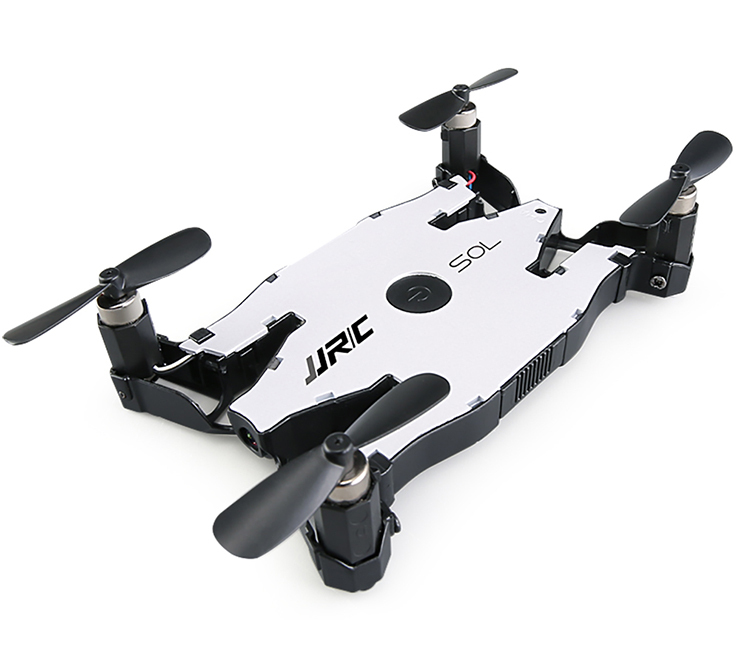 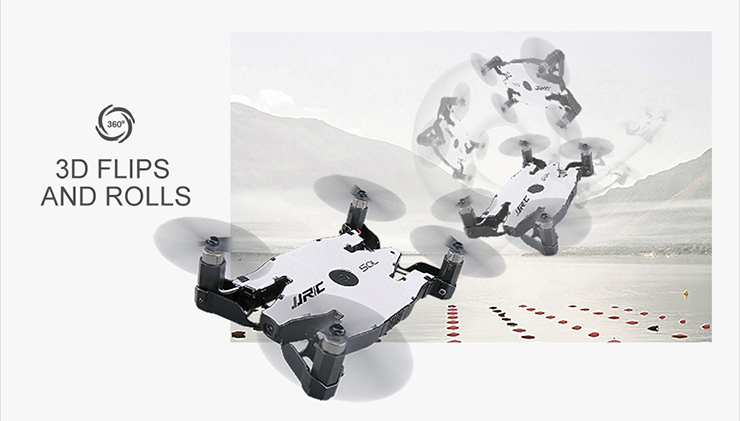 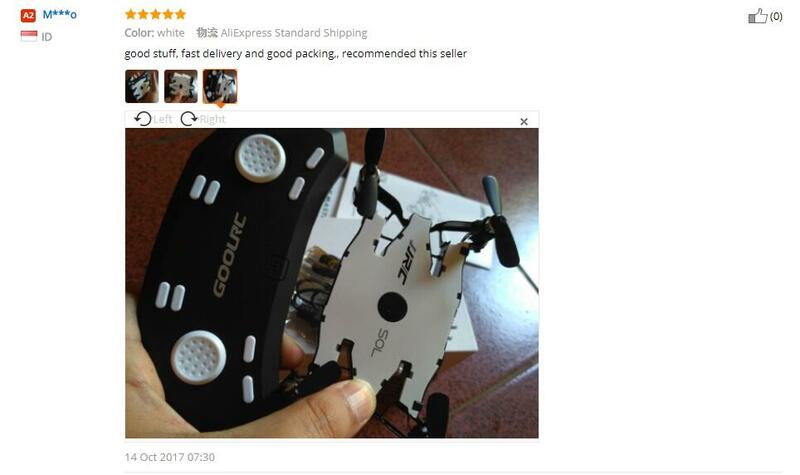 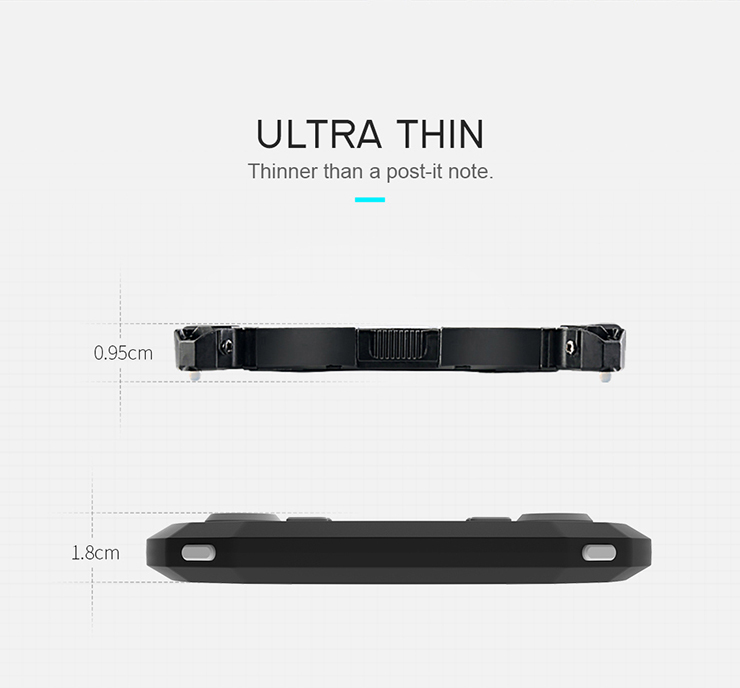 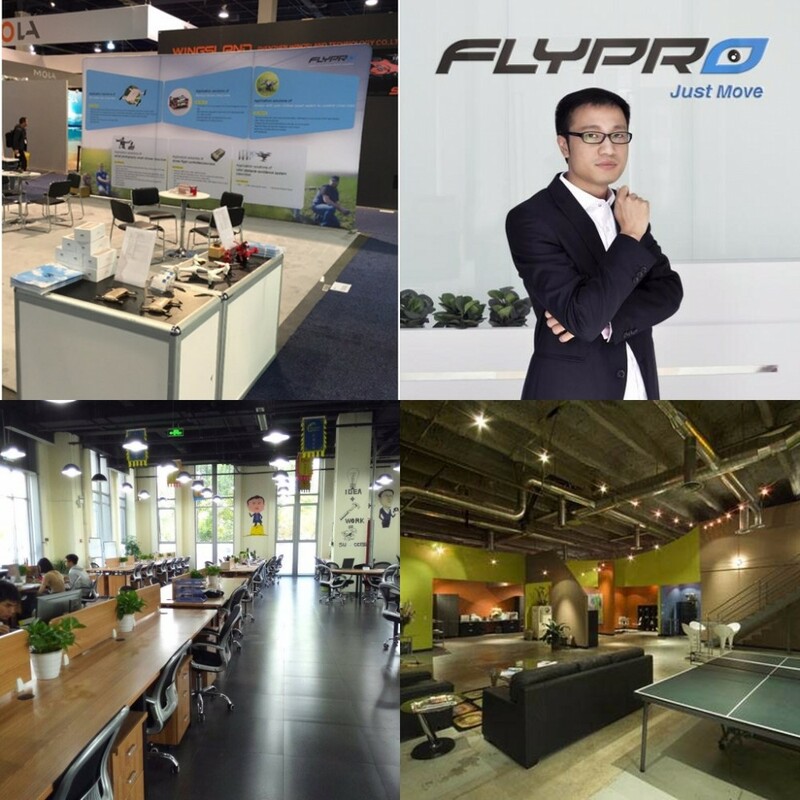 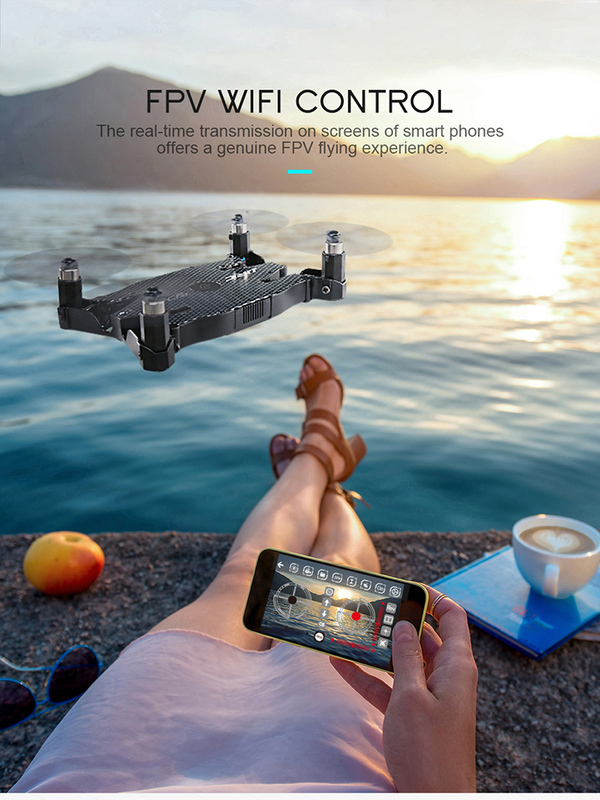 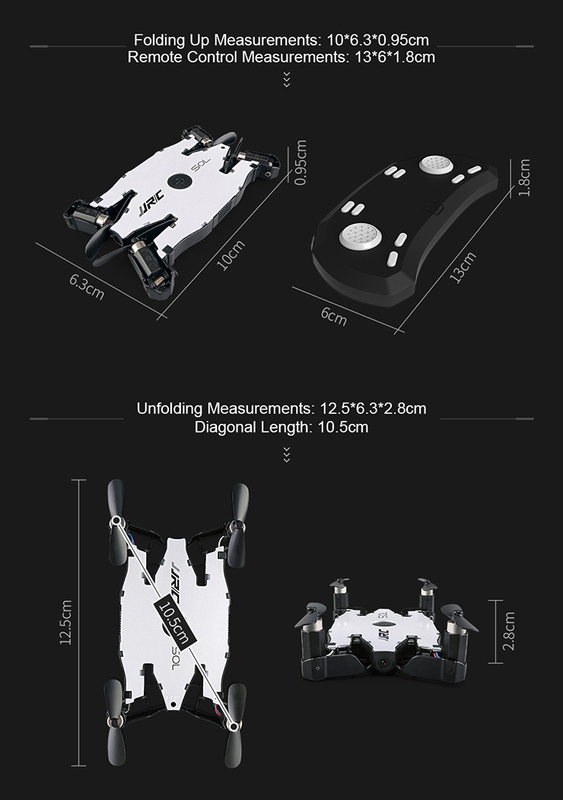 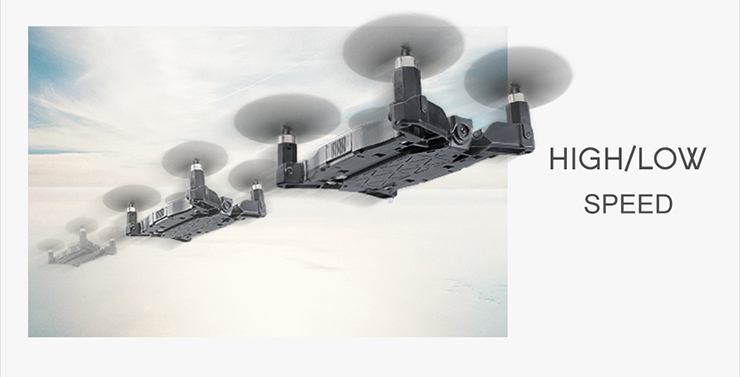 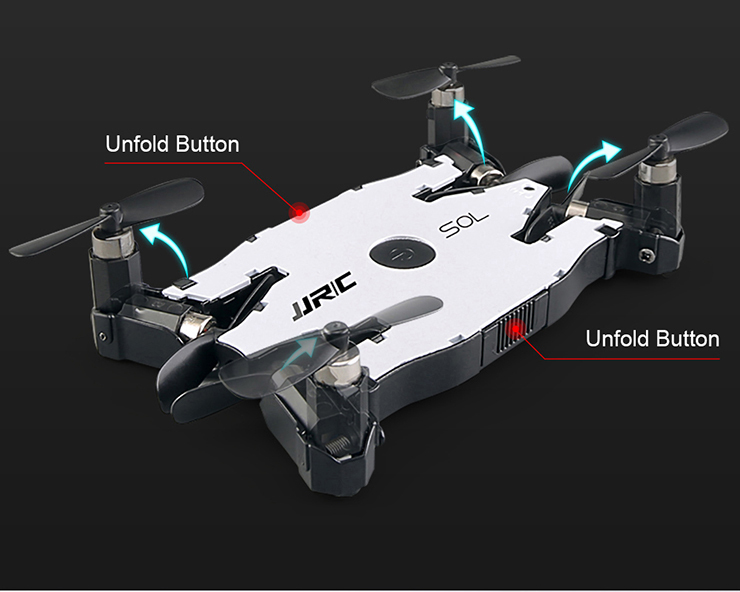 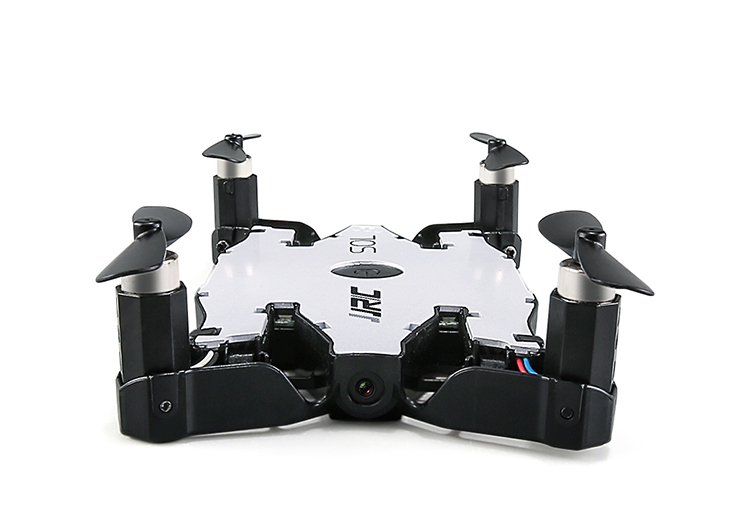 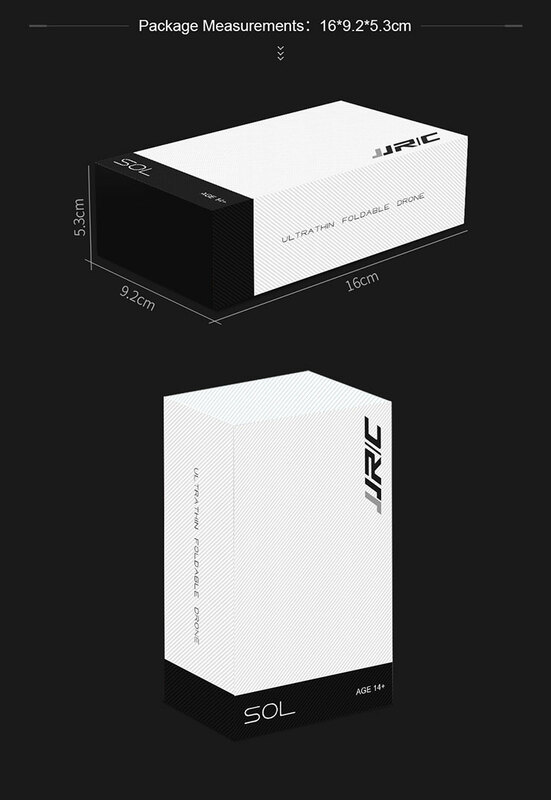 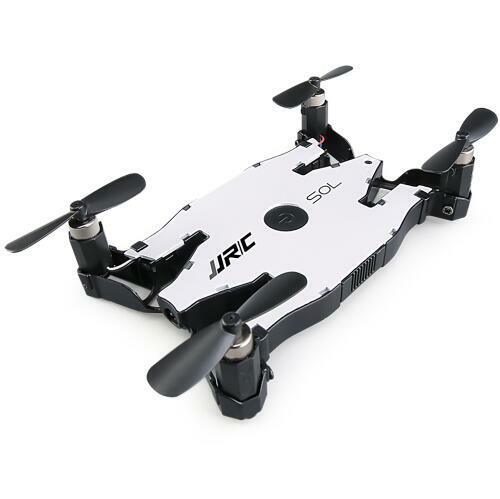 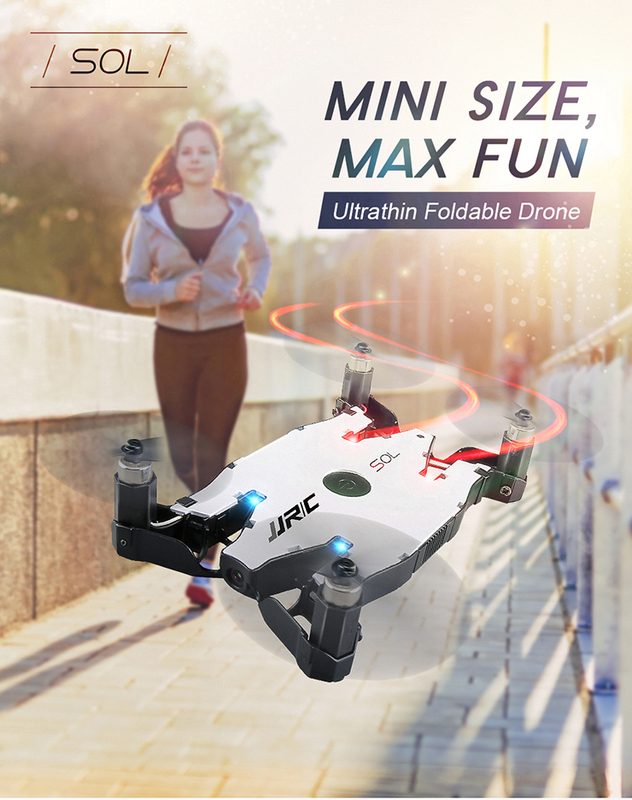 • Ultra thin body and remote control ,portable to carry out , it will bring more wonderful flying experience. 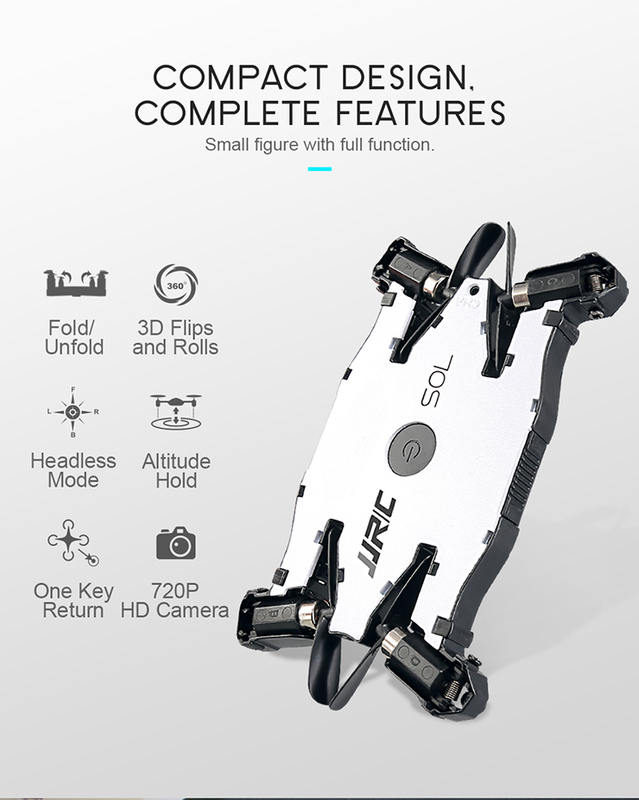 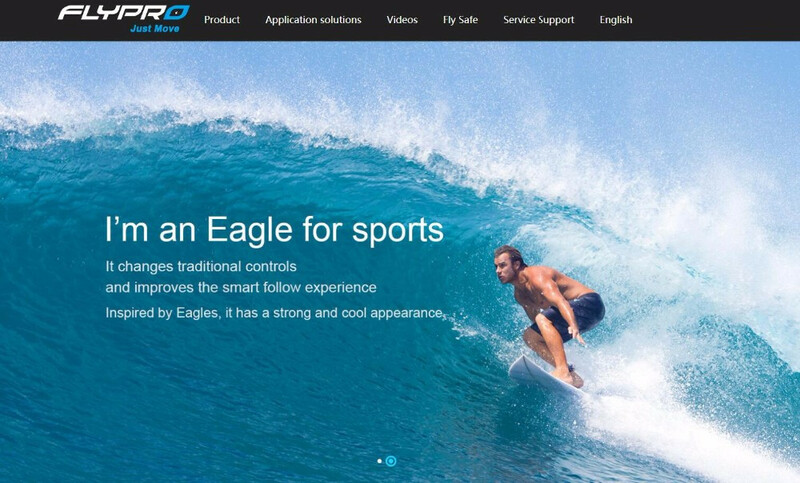 • 720P high definition camera ,intelligent altitude hold , which makes clearer to shoot in the air.